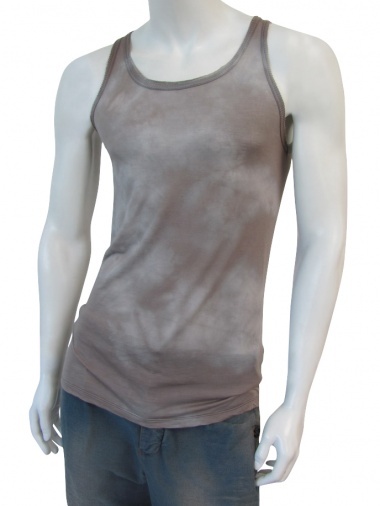 Tank top in modal jersey and silk. Ribbed for low neckline and armholes. Center back seam. finished garment treatment.